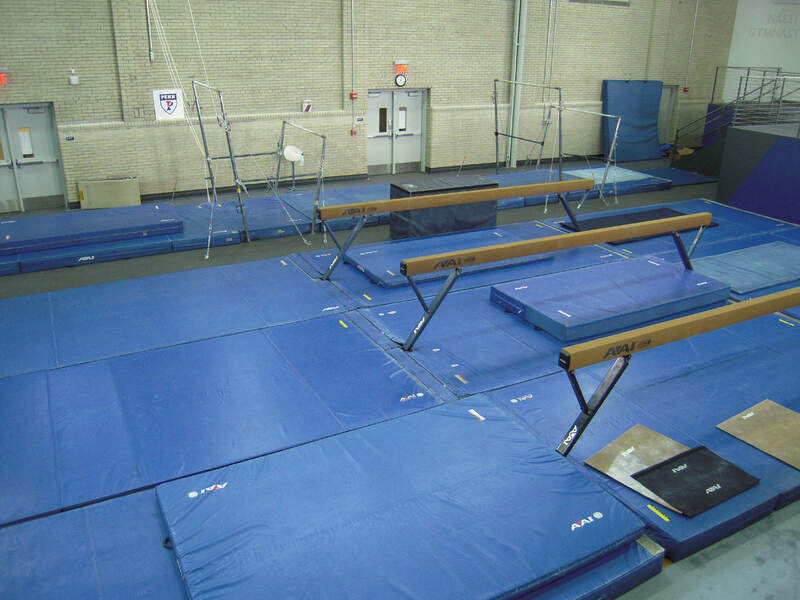 After a national search, US Gym Products was the only company that had the innovative ideas and custom gym design and installation abilities to build a world class facility for one of the most prestigious schools in the country, the University of Pennsylvania. 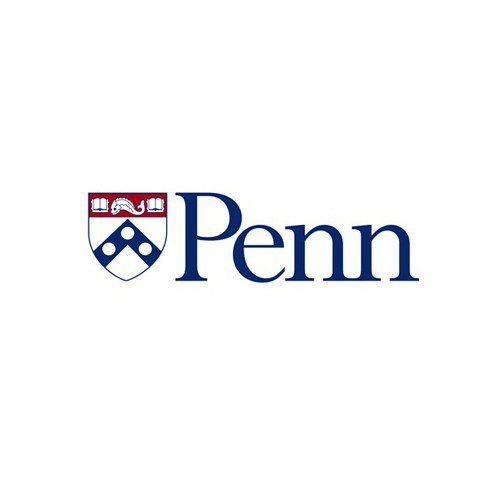 The University of Pennsylvania traces its origins back to one of our Founding Fathers, Benjamin Franklin. 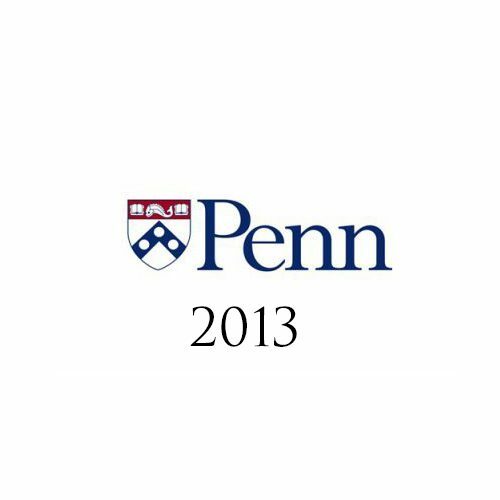 Since its creation in 1749, Penn has grown into one of the most prominent universities in the country. It has grown not only in the academic arena, but the athletic world as well. When Franklin Stadium was constructed in 1922, it was the largest two-tiered stadium in the US. In 1926/1928, the basketball stadium, The Palestra, and adjacent Hutchinson Hall were constructed. 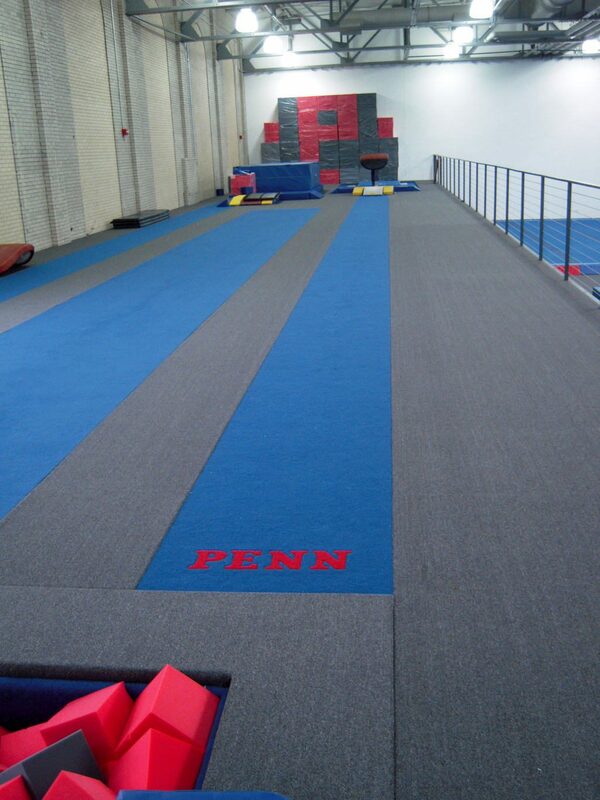 Penn’s gymnastics program was formed in 1975 and Hutchinson became its home. Pieces of equipment on a basketball court constituted their facility. For well over a quarter century, it remained unchanged, with the exception of updating the equipment as needed. It would be an understatement to call Hutchison an outdated facility. It was not effective for recruiting and nearly impossible to train athletes properly in the modern era of the sport. 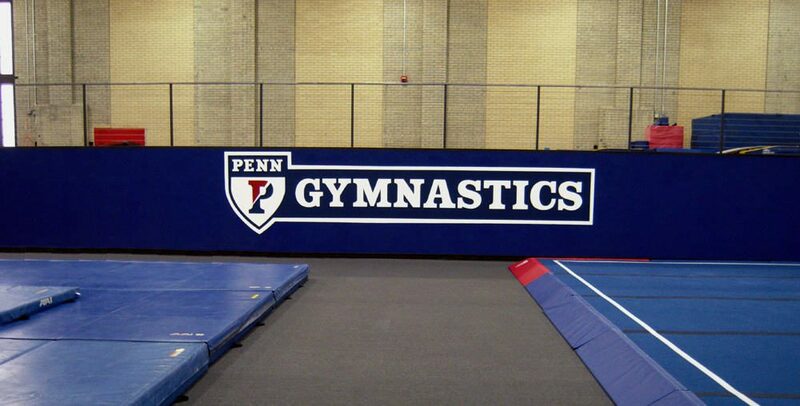 Over the past few years, Penn spent tens of millions of dollars updating and modernizing their athletics facilities. In 2011, it was the gymnastics program’s turn. 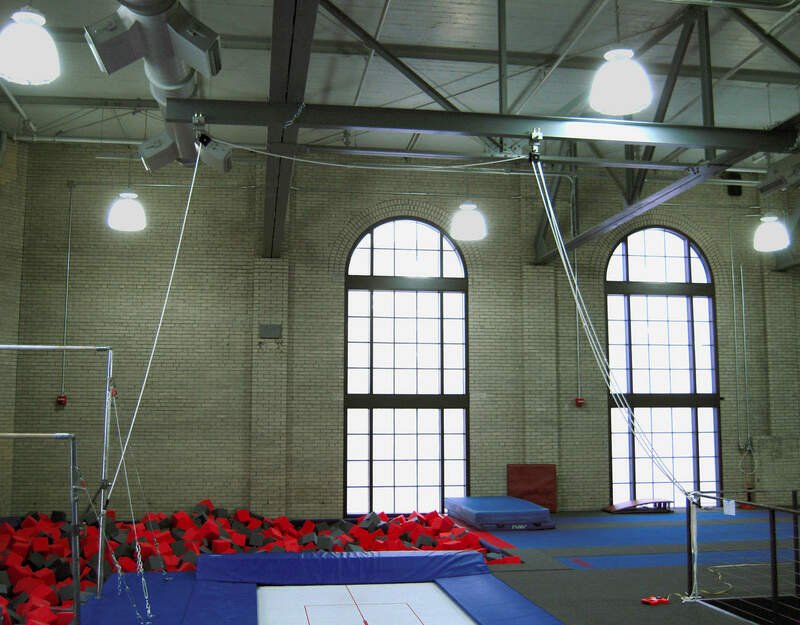 As part of a 28-million-dollar renovation of Hutchinson Hall, the gymnastics program was given a budget to build a platform that had modern training equipment and pits. 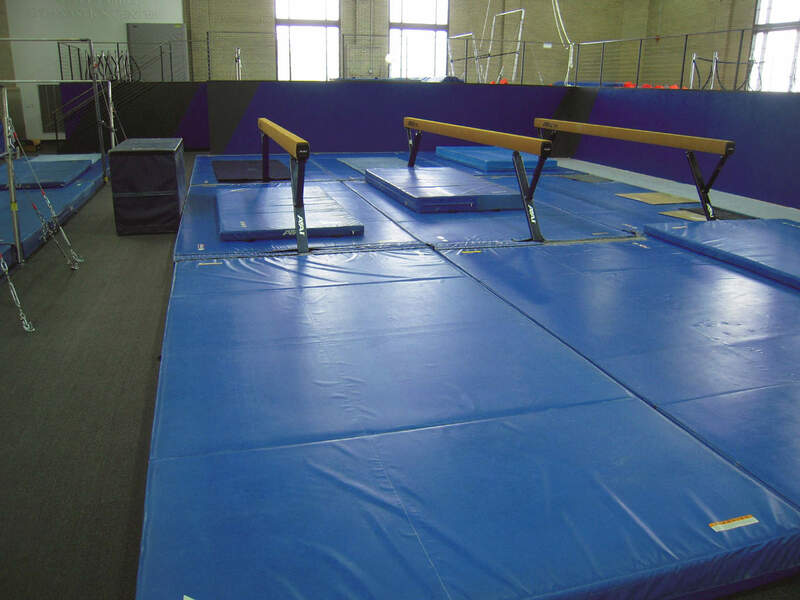 To complete this gym design, we developed unprecedented design features never before used in a gymnastics facility. With their budget, all the features that would allow Penn to recruit and compete against perennial power houses like UGA, Florida, UCLA and Utah, would have to come from detail work and clean, smooth installation aspects. A 140′ x72′ L-shaped platform would be built, incorporating stainless steel cable for railings. A completely flush-mounted training surface where all the equipment/matting was recessed into the platform. We had an open basketball court (covered with a protective layer of plywood during the AC installation) to start with and nothing else. We turned the bare basketball court into what you see above. 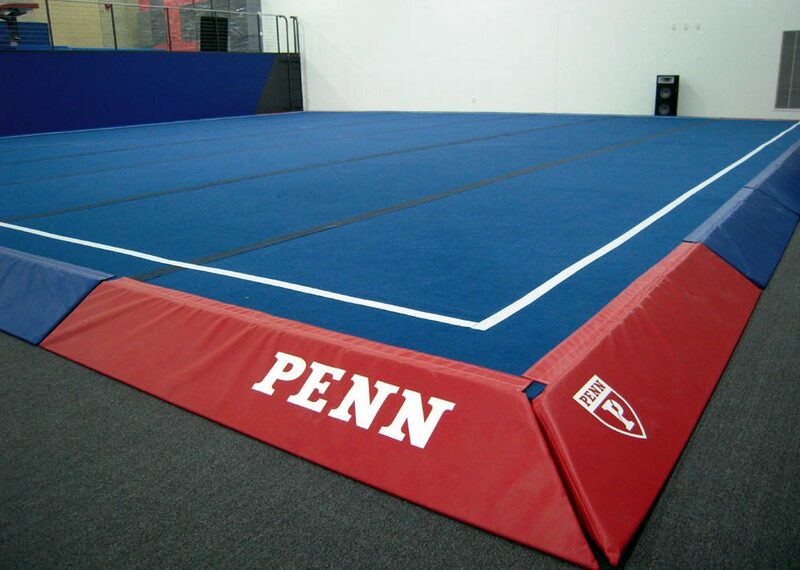 The scope of work included designing and build a 140′ long x 72′ wide all steel with wood veneer L-shaped platform, and customizing and installing all equipment and matting, bringing Penn a world class training facility. 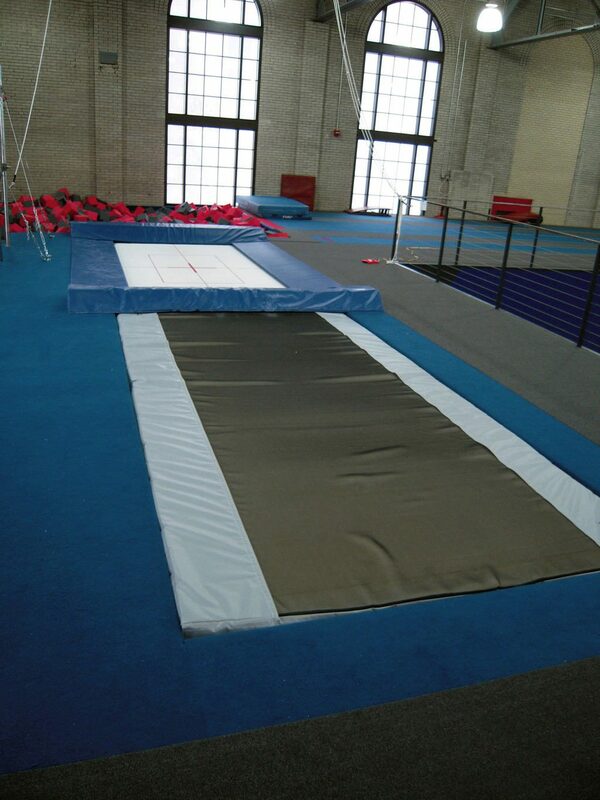 In the left picture is the main training area of the platform which has the trampoline, uneven bars and a trench bar. 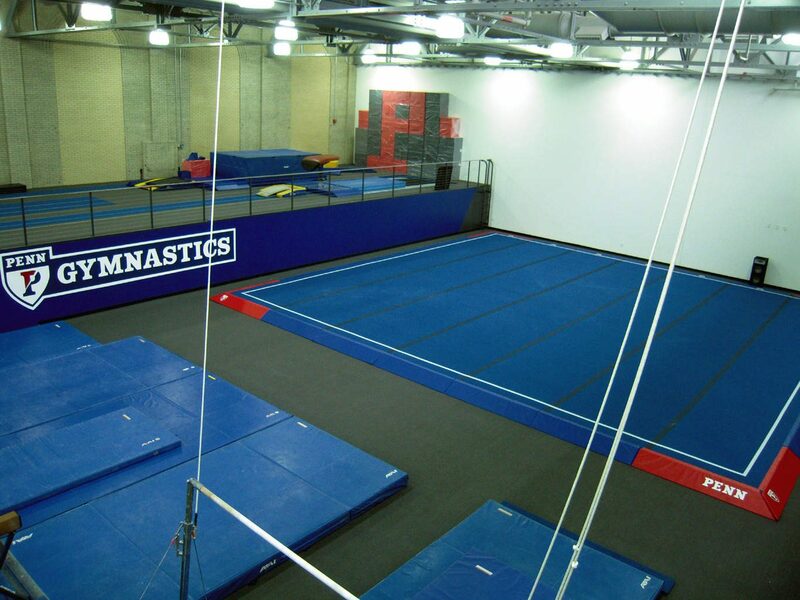 In the right picture is the new updated spring floor as well as the vault on the platform. In front of the top of the stairs is the trampoline resi pit. 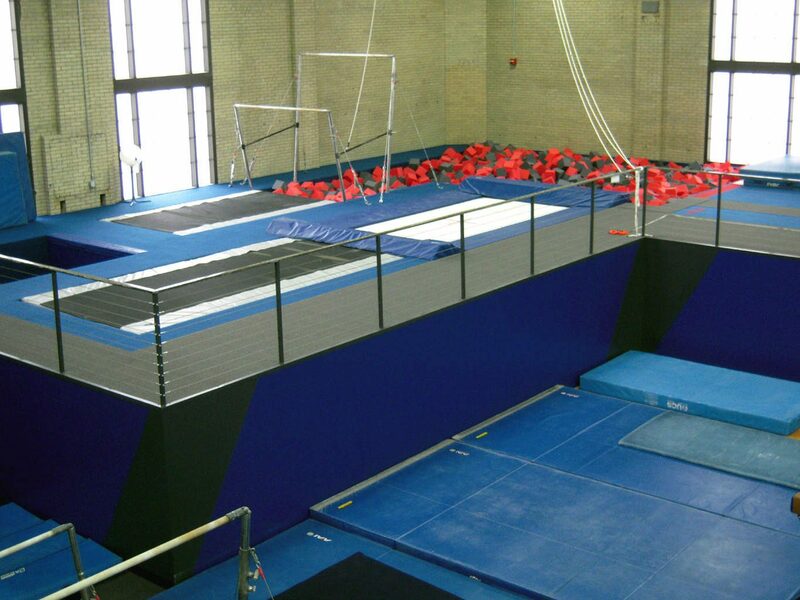 The trampoline has access to both a resi and deep foam pit as well as an overhead spotting rig (right picture). To make this spotting rig work, we had to hoist a 22′ long I-beam up to the ceiling and bolt it to the roof trusses. Only then could we attach the pulleys for the rig as you see in the picture. For added safety a steel chain was added connecting the I-beam to the trusses. 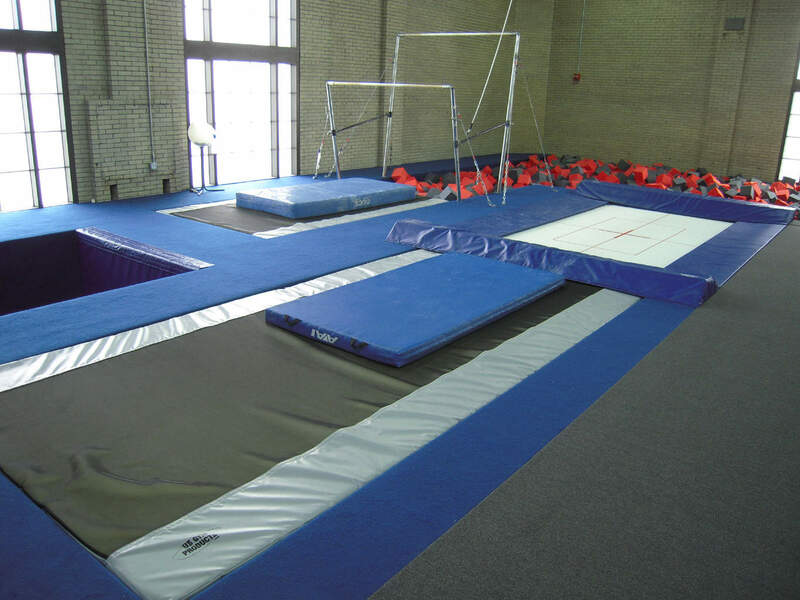 Another of our design features is a completely flush 1-3/8″ Carpet Bonded Foam(CBF) training surface around the trampoline resi mat for added safety. Both this and the resi are flush to the carpeting which is the main surface of the platform. This gives an extremely clean look and eliminates any trip hazards. Here you can see the main training area of the platform. This entire area is covered in CBF for added safety and padding. 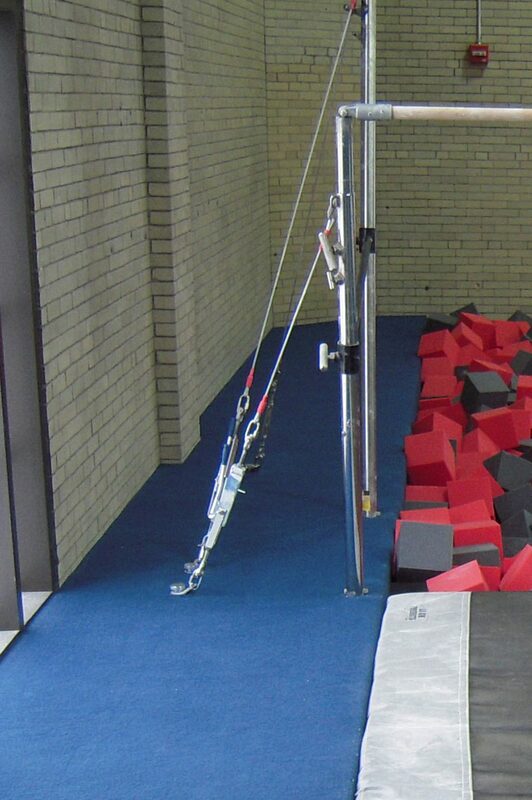 The right side of the picture shows how both the CBF and main trampoline padding are flush mounted with the carpeting. 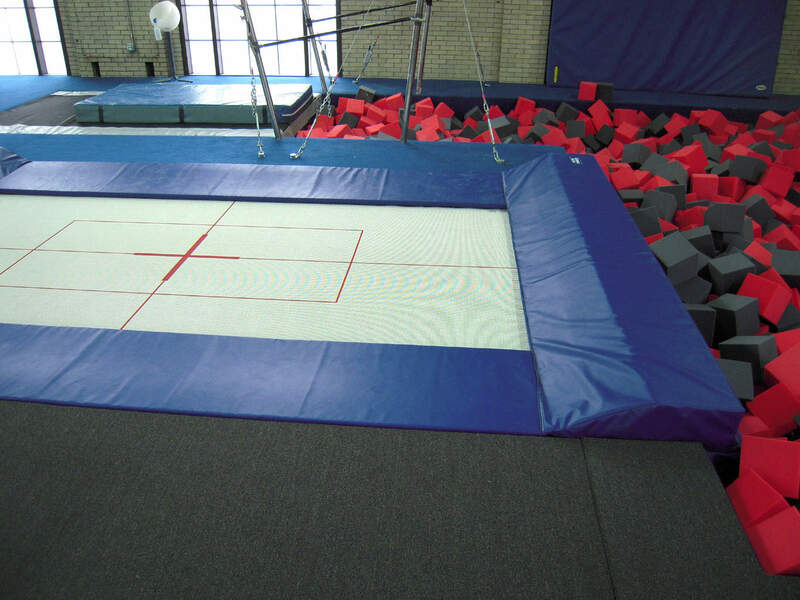 The trampoline also has 2 custom designed 8″ thick mats that cover up the trampoline frame where athletes will be flipping either into the resi or deep foam pit. 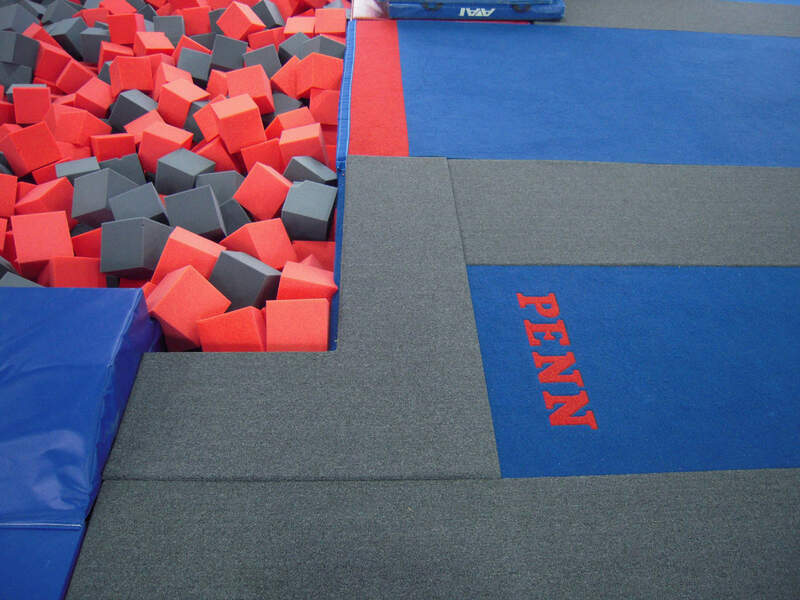 The 8″ pad for the deep foam pit is in the shape of an L and extends 3′ down into the pit. Both pads feature a beveled edge so the 8″ height will not create a trip hazard and provides a clean look. To the immediate left of the staircase is the custom designed trench bar. This bar incorporates several unique design aspects. First, it acts as two trenches in one. It provides a narrow trench on one side and an open trench on the other, allowing athletes to work on release moves. 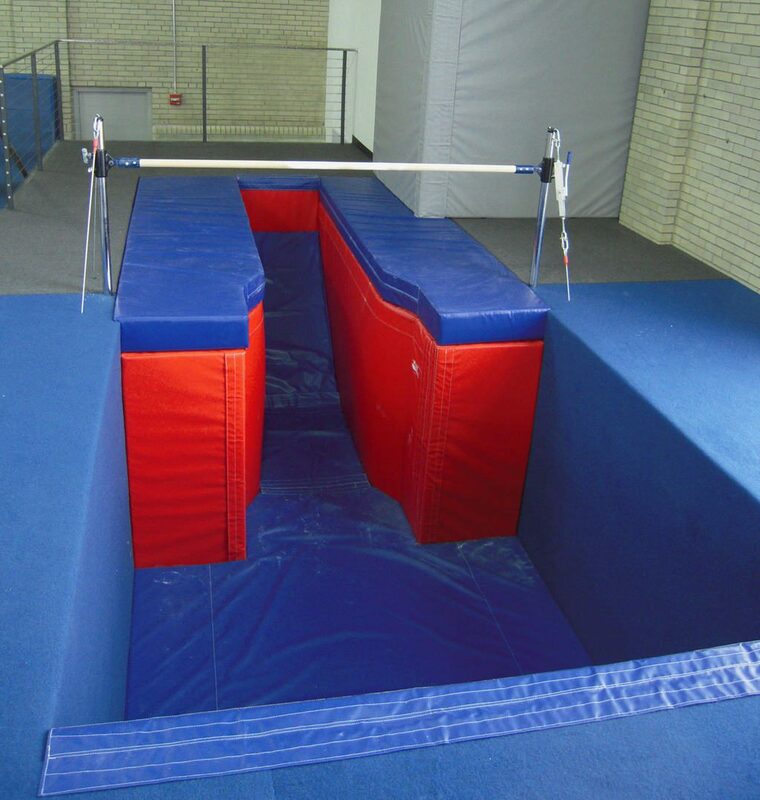 The narrow part of the trench also allows for a coach to straddle the rail and spot transitions on the bar. The padding is also very unique and customized. 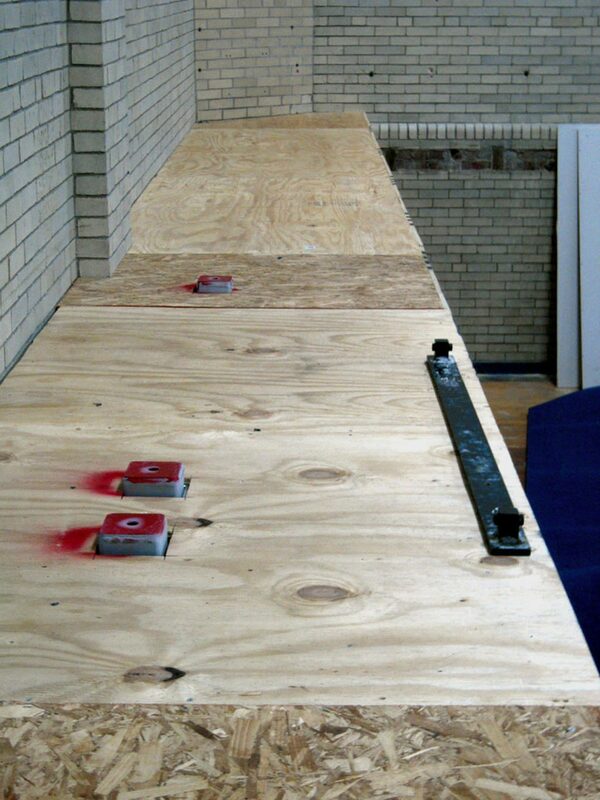 The 8″ thick top pads are flush mounted with the platform top while the red interior wall pads are 4″ thick. The entire bottom of the trench pit is coved in 12″ thick foam matting. At the back of the narrow part of the trench, there is an incline to shorten the distance if the athlete peels off the bar and also to allow easy exit from the pit. In the main 8′ wide pit section, the bottom mat is particularly unique. It is 12″ thick and contains different density zones. The entire top is a 4″ thick layer of soft low density foam. Underneath this layer, there are 2 distinct layered zones. The first is along the two blue CBF walls where there is a 2′ wide 8″ thick layer of dense foam. This creates a firm platform where a spotting block can be placed for a coach to stand and spot on. In the middle of the pit is a 4′ wide section that has a dual density layer. It has 4″ of soft foam with a medium 4″ layer underneath. This along with the 4″ top layer creates a 12″ thick soft zone to give the athletes a soft area to fall on when working on release skills. This 4′ wide soft channel along the bottom of the big pit also continues up the padded back wall. Behind the 4″ thick pad shown in the picture, there is a recess built within the platform wall that is 4′ wide 8″ deep and runs all the way to the top of the pit. 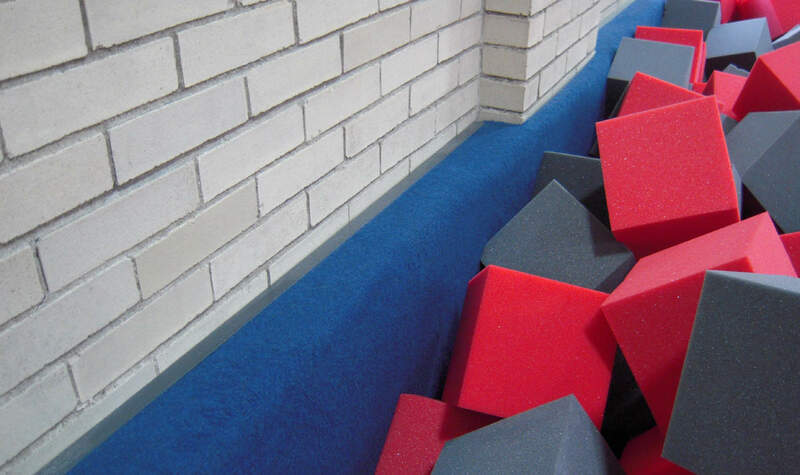 If an athlete ever goes backwards hitting the wall, they have 12″ of soft foam to protect them. Another innovative design feature is the dual width trench. At its narrow point, it’s 30″ wide which allows for athletes to easily straddle the trench. 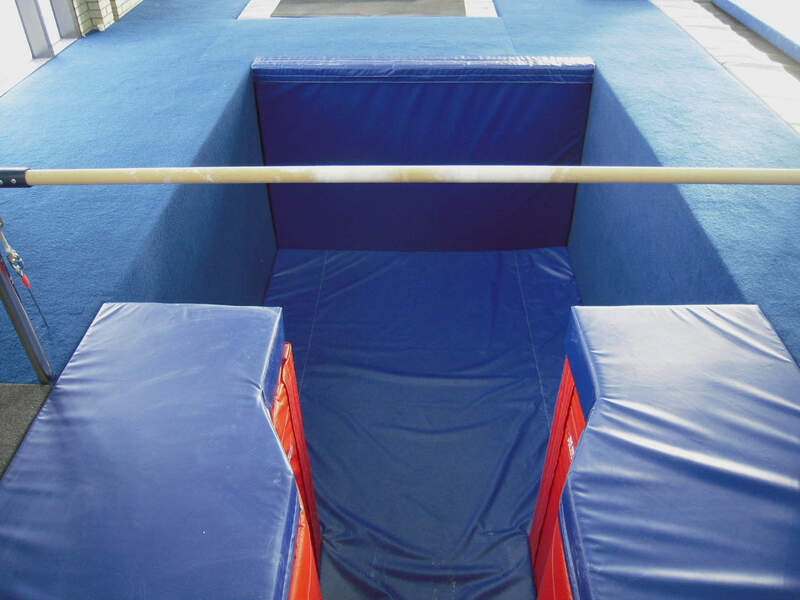 However, directly under the rail, the trench is 36″ wide allowing for athletes to practice release moves without having to worry about hitting the narrow walls of the trench as they re-grab the rail. 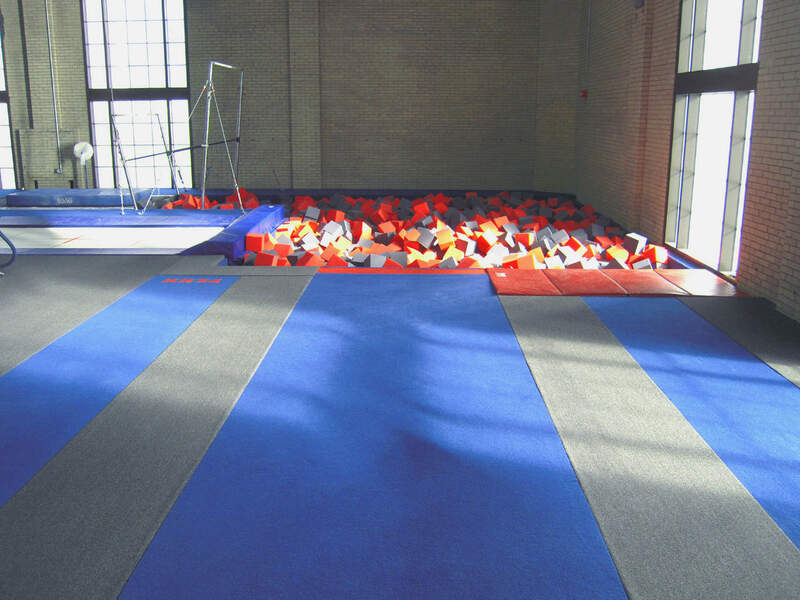 US Gym Products custom designed, built and installed all of the mats. The bar itself sits cleanly on the platform with the cables and posts running cleanly through the platform to the base anchored underneath the platform. 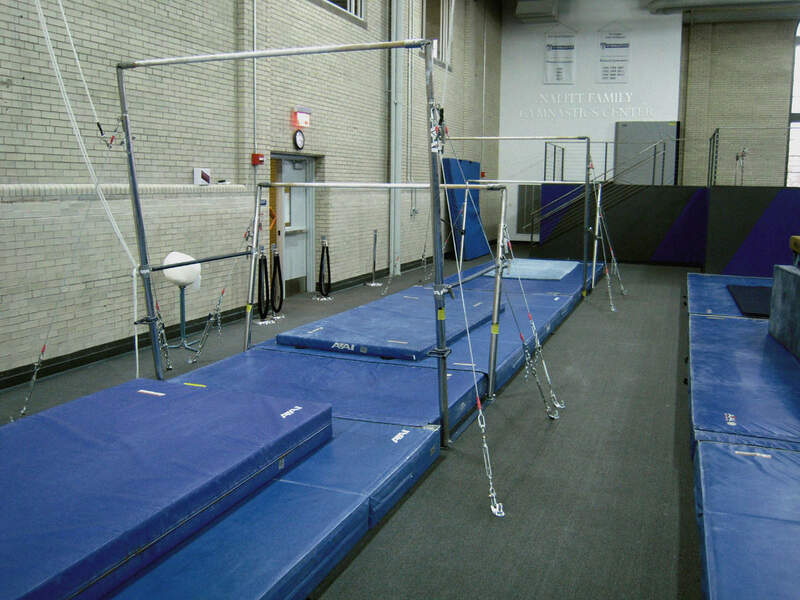 Installing the uneven bars shows another area where US Gym Products implemented creative design and installation methods. The left picture shows the flush mounted resi mat that starts at the low bars. But if you look closely at the picture on right, the bars have no base. The uprights simply attach to the carpet bonded foam. The left picture shows how it was done. The base of the bars is bolted to the deck of the platform. The three steel posts painted red are what the cables attach to. We used the brand new six cable system for its low space requirements and excellent stability. The CBF will cover these so they will not be seen. The picture on the right shows how these posts run all the way down through the basketball court and attach directly to the structural concrete sub floor. Added bracing was utilized for maximum platform stability where the bars are attached. These posts are actually raised above the wood deck just high enough to stick through the foam of the CBF but end just under the carpeting. Here is the finished look. 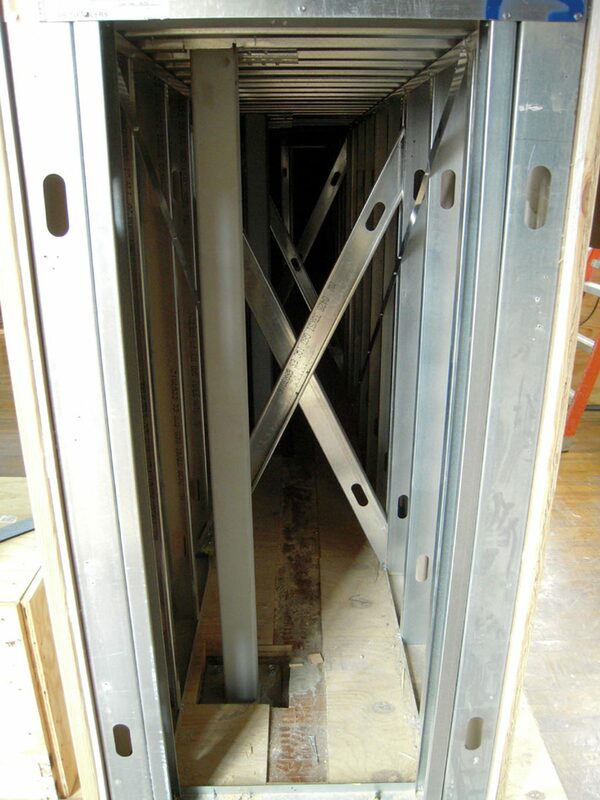 Once the CBF is placed on top, only enough of the bar base shows to attach the uprights to. These items are directly cut into the foam of the CBF without cutting the carpet. The steel posts are directly underneath the carpet for the cables to screw into as shown in the picture on the right. The main pit is completely lined with CBF that goes all the way to the bottom. 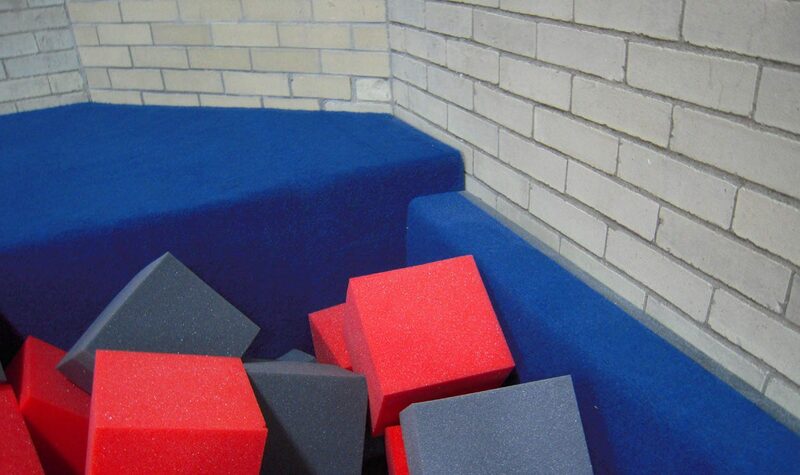 For maximum safety, the entire bottom is lined with 8″ foam mats that are velcroed together so there are no seams for someone to put a foot between and hit the basketball court. 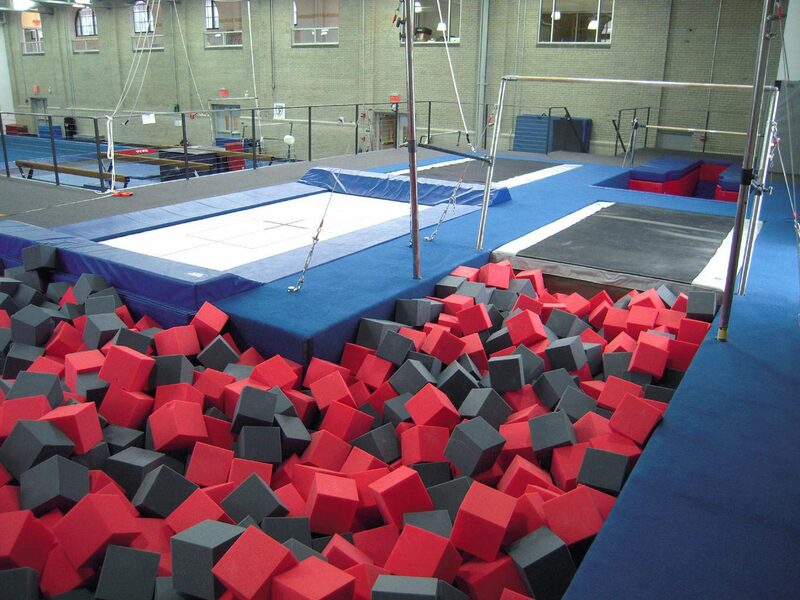 The pit has four pieces of equipment going into it: bars, trampoline, tumbling strip and a vault runway which is on the far right of the picture. (The new vault installation to take place at a later date). 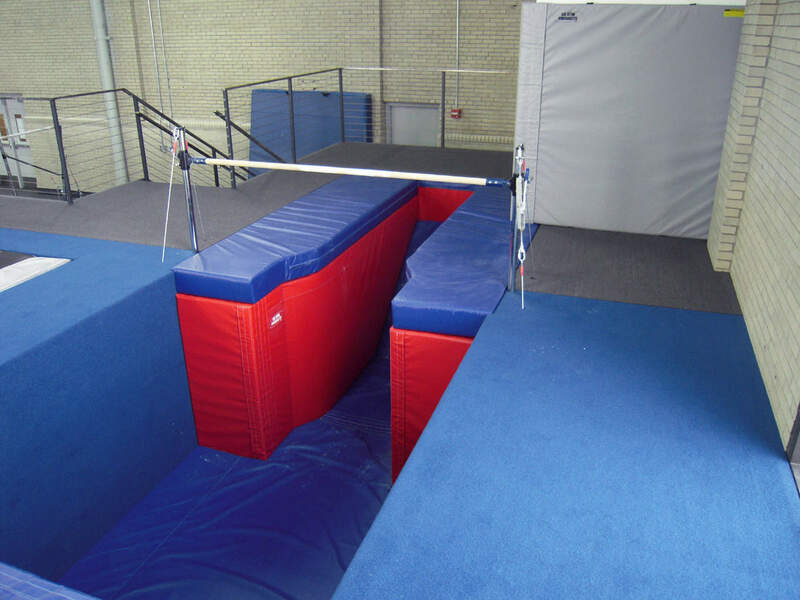 This picture shows how both the trampoline and uneven bars go into the deep foam pit. Pictured above on the left is the end of the pit by the bars. The smaller extended section of the CBF on the right side of the picture covers up the brick protrusion that comes off the wall around the entire gym. Notice the clean transition of the padding to cover this up and tie it into the walkway along the edge of the pit. The right picture shows this protrusion all the way to a brick support column. This again demonstrates how US Gym Products utilized installation ingenuity in this gym design. The foam backing was removed from the CBF at the column leaving a flap of carpet only. Then the carpeting was wrapped over the exposed foam edge and attached to the back of the CBF. This gives the clean carpeted top along the entire edge and deals with the column that protrudes out. This picture again demonstrates our custom design and installation work. Recessed into the platform deck, the vault runways have PENN engraved into them. 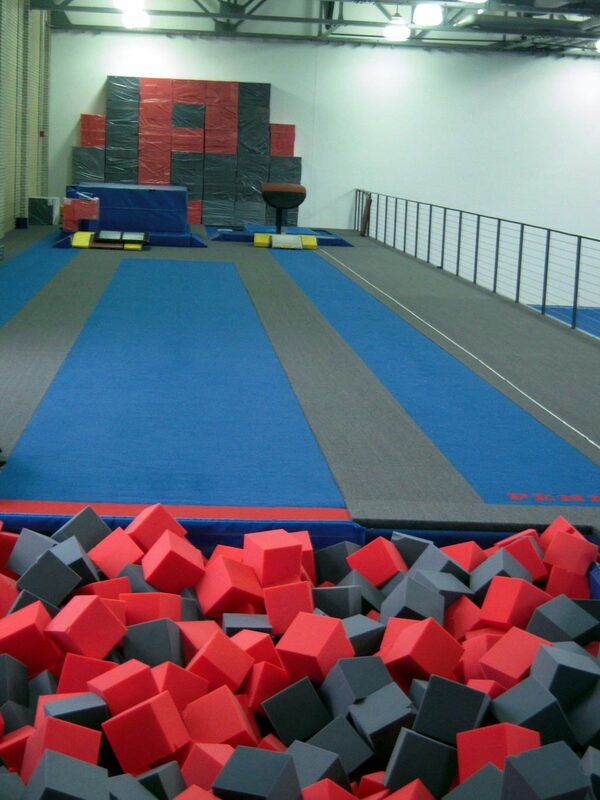 To keep the floor and vault runway completely independent, the charcoal carpeting separates these events. But in doing so it created a problem for the CBF lining the pit walls. 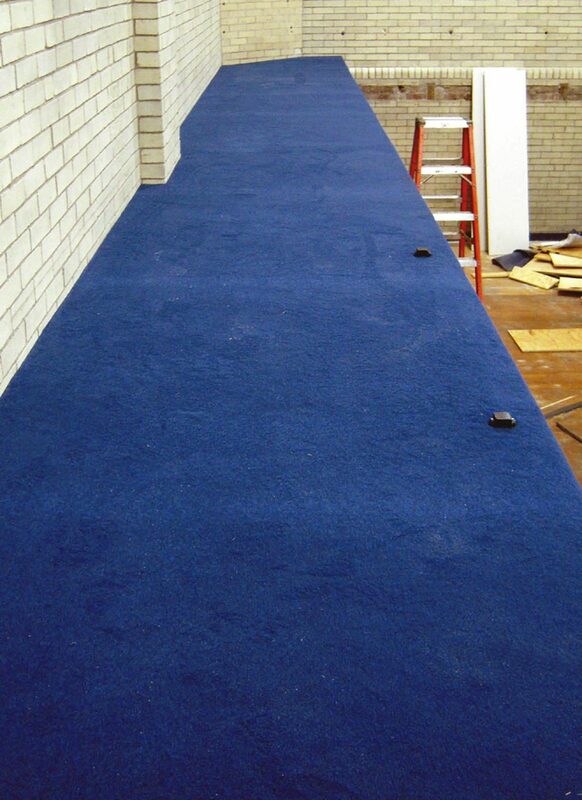 To avoid an exposed foam edge or having something pulled off the walls in this high traffic area, 6″ of foam from the carpet of the CBF along the top edge needed removal. Then it was folded over onto the deck of the platform and stapled down. Then the L shaped carpeted piece shown in the picture was attached to the platform on top of the CBF lip that was stapled down. Along the carpeted edge in the pit, the blue CBF folds under the charcoal carpeted piece, resulting in a padded, clean, durable edge. This also shows the recessed spring tumbling strip that goes into the pit beside the vault runway. It has a 2″ layer of EVA CBF. The end of the strip also has a section of red CBF. Going down to the pit is a mesh section that stops foam cubes from wedging underneath the spring boards. 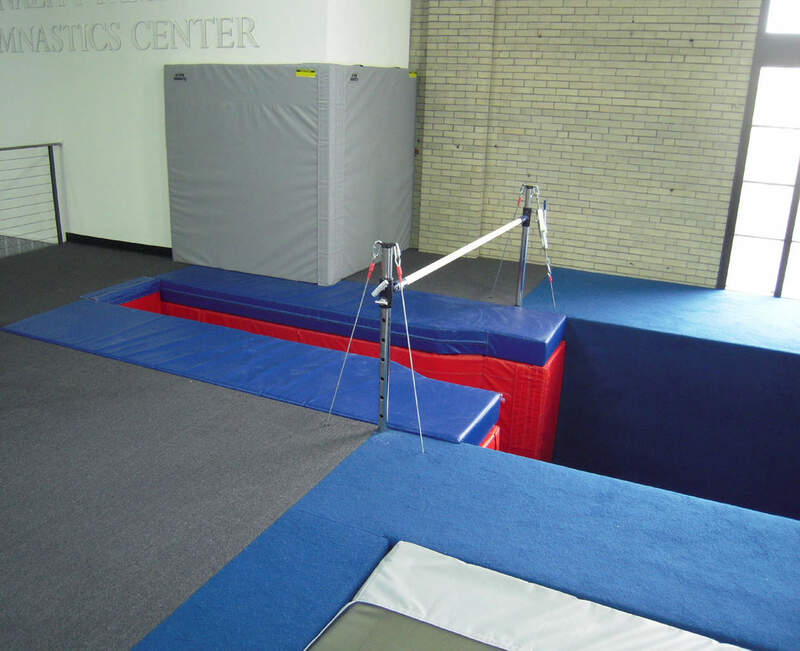 This also allows for air flow around the floor when athletes are tumbling. 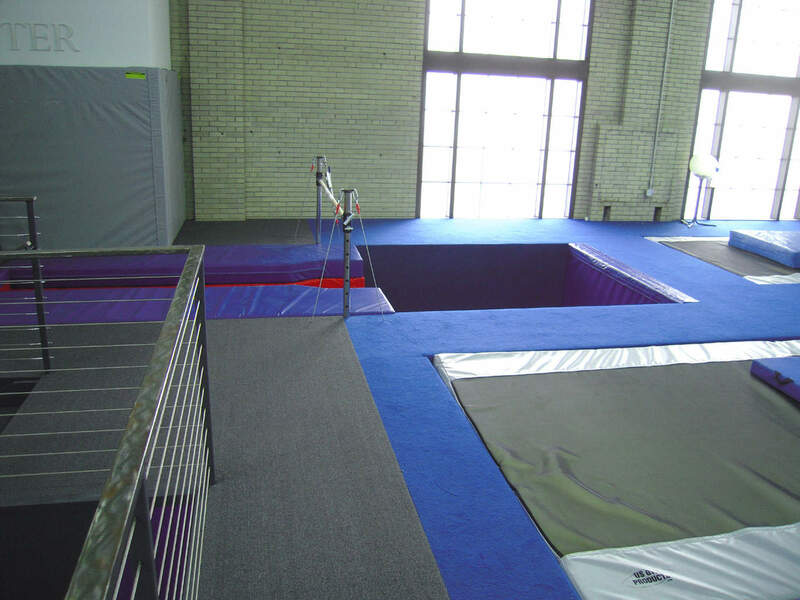 This entire 60′ long tumbling strip is 7.5″ tall and recessed into the platform floor to produce a clean flush look. The long section of the platform holds the two vaults and the tumbling strip. Our installation produces a clean, flush environment. The main spring floor is easily visible to the right, through the cable railing. 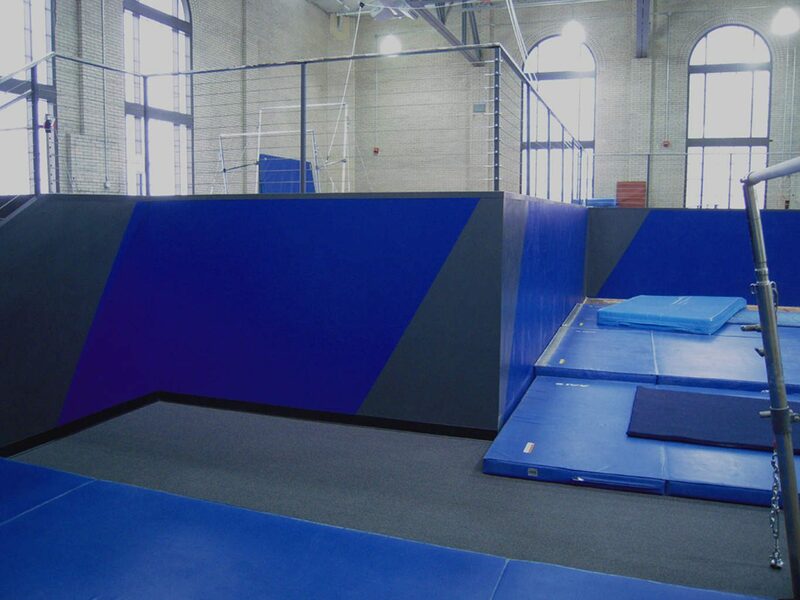 One of the most unique features about the vaulting area is the matting system. 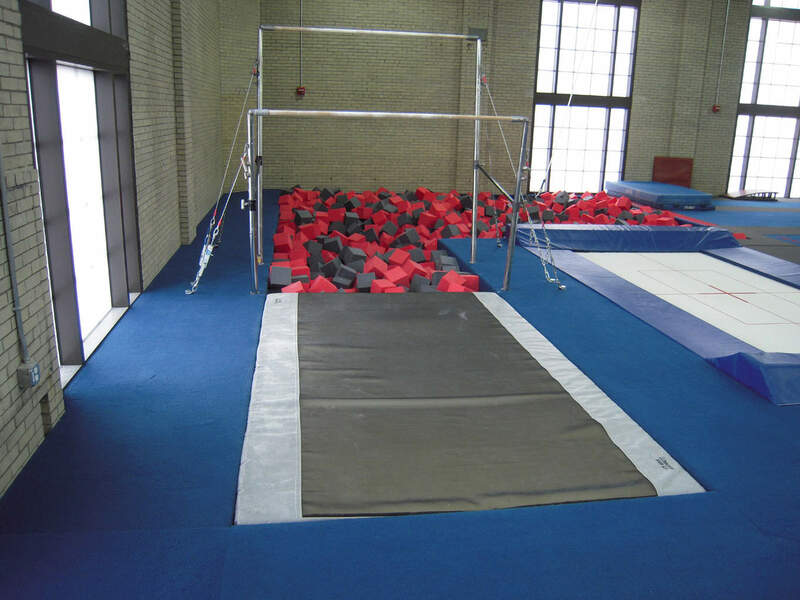 This picture shows the standard 8’x18′ 20cm landing mat. For added safety and a cleaner look, we constructed a custom made mat to have a 12″ angled border around it. This created a 10′ x19′ padded landing surface. The mat transitions cleanly down to the carpeted floor with no lip to trip over. Upon removal of the 20cm landing mat, an 8’x18’x32″ resi mat sits underneath. This mat is surrounded by a 12″ border of carpet bonded foam for extra padding around the edges. Both the resi and CBF border are recessed 1″ below the main deck of the platform. This allows the landing mat to sit on top and fit snuggly in the floor of the platform where it cannot slide. It also eliminates a mat that might produce a trip hazard. 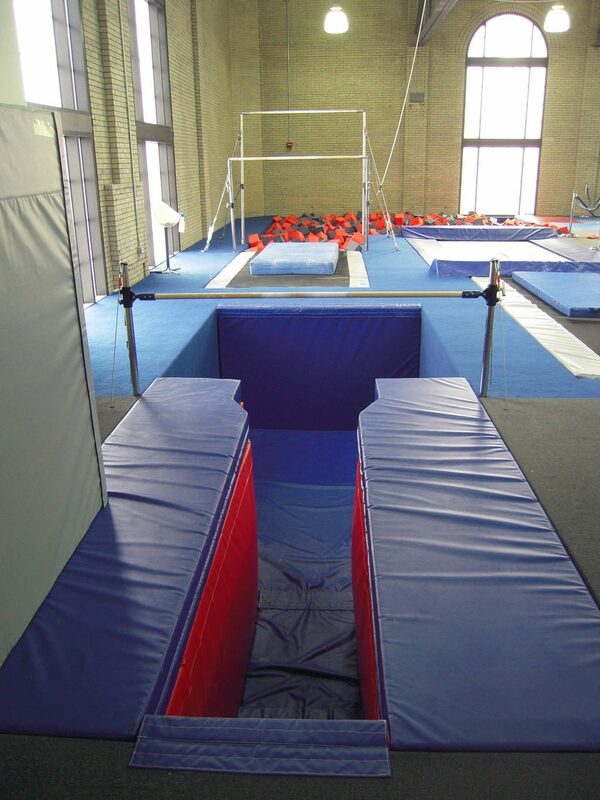 Looking from the vault runway back down into the gym, the uneven bars and beam section are visible. The facility will be adding a fourth beam and matting to go with it in the future. 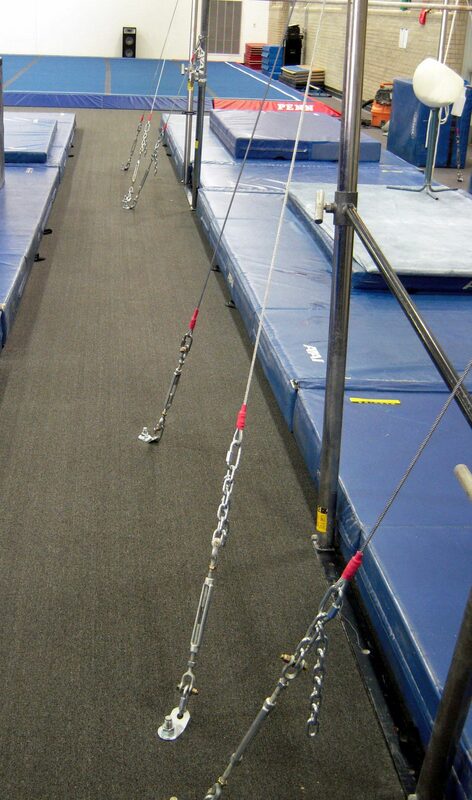 Additionally, one set of bars has an overhead spotting rig for dismounts and release moves. 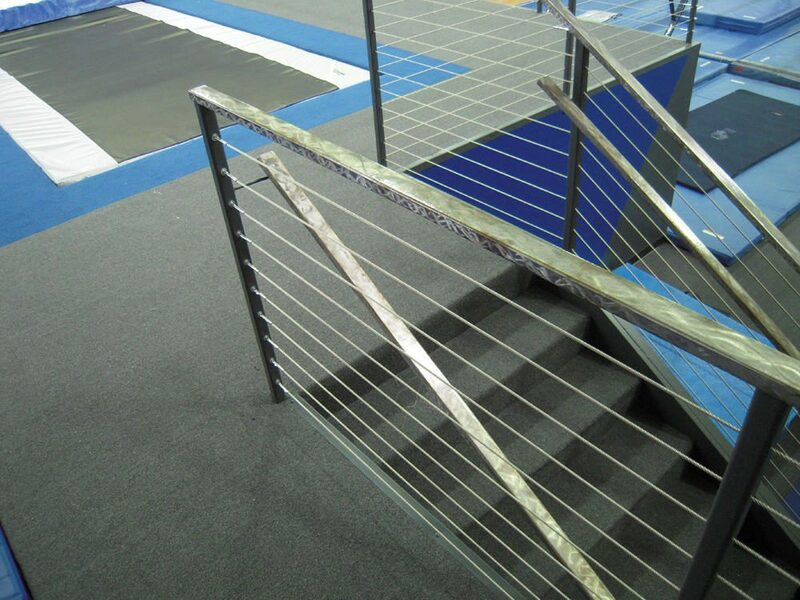 The uneven bars presented a challenge for this gym design. The entire basketball court that everything sits on suspends 3″ above the structural concrete. In the original gym, installed space savers attached to floor plates that screwed into the basketball court. Not a structurally sound system. As a result, when the kids swung bars, it would cause the basketball court to bow and pull up. The gym design solution was to replace the space savers with the six cable system, drill 2″ holes through the basketball court and filler, and all the way down to the structural concrete. Then US Gym Products constructed custom 4.5″ tall steel spacers/washers that sat on the concrete and when installed, were flush with the top of the basketball court. The bars attached to 3/4” wedge anchors that ran through the spacers and into the structural concrete. Furthermore, to produce a finished clean look, all of this then received a covering of carpet. 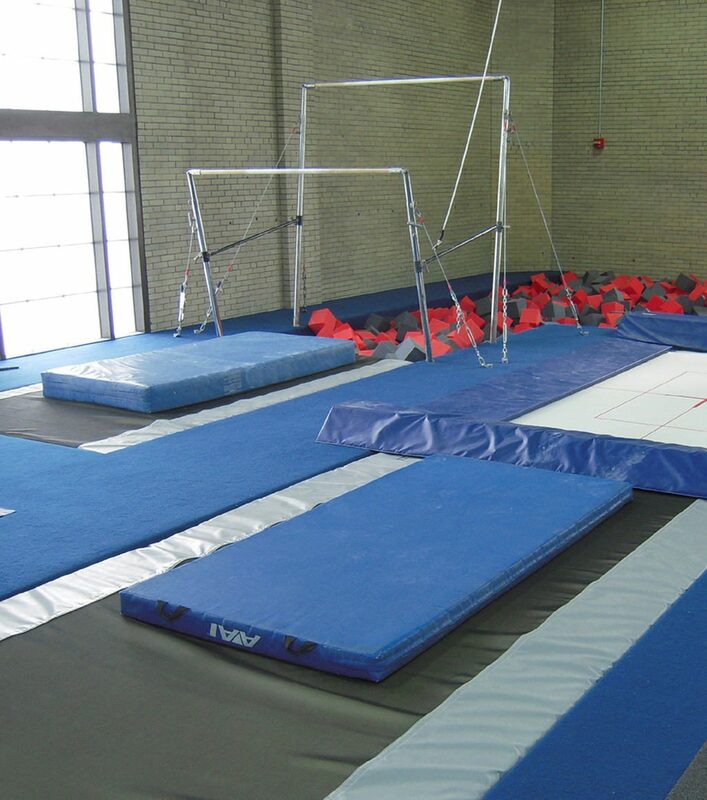 The spring floor is an AAI Stratum floor with our US Gym Products retention wall installed around it to prevent shifting. We also added a double spring border and our custom design angled wedges with Penn’s logo to finish it off with a real touch of class. Carpet covered all exposed areas of the basketball court. Additionally, we painted this 22′ mural to really make the team feel at home. The dedication of the new facility took place on homecoming weekend in November 2013. The new gym design and facility left donors and former athletes, all who made these renovations possible, speechless. Everyone was in awe of what the new training facility looked like. 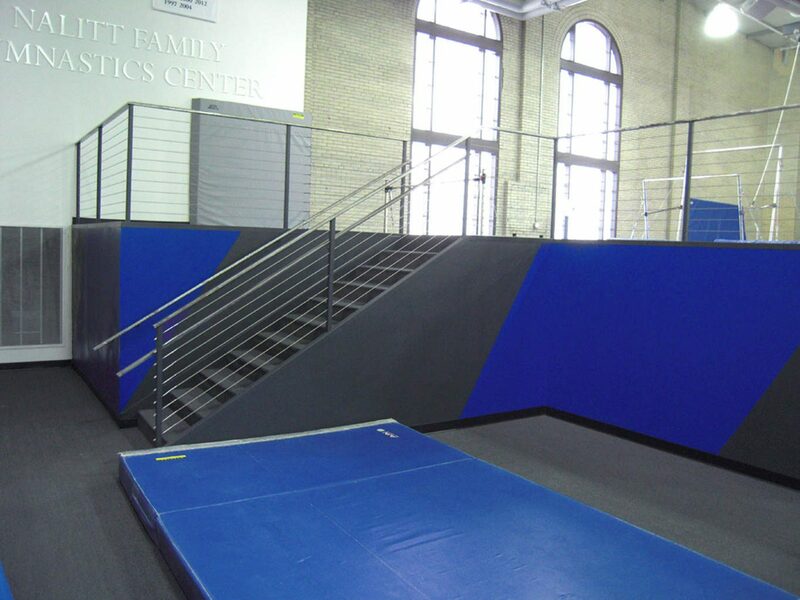 US Gym Products was the only company that had the innovative ideas and custom gym design and installation abilities to build a world class facility for one of the most prestigious schools in the country, the University of Pennsylvania.